This rifle is brand new in the box, it comes with the commemorative sleeve. Winchester Model 70 150th Commemorative Rifle .270 Winchester 24 Inch High Polish Sporter Profile Barrel American Walnut Stock Oil Finish Model 70 150th Commemorative Rifle High polish sporter profile barrel and gold barrel band. Elegant scroll engraving on receiver, barrel, trigger guard, grip cap and floorplate. 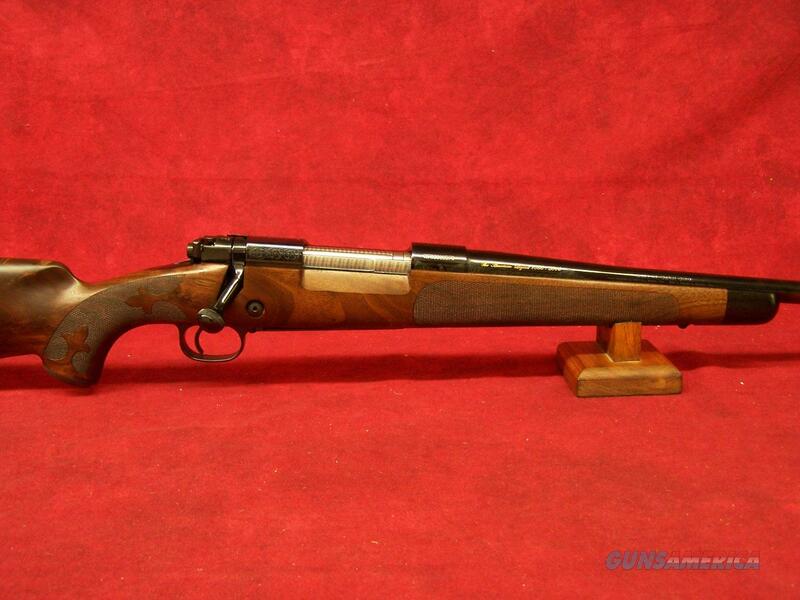 Grade 4/5 full fancy American walnut stock and forearm, oil finish with elegant spade checkering. Special 150th Anniversary logo in gold on the floorplate, classic WRA script logo in gold on the trigger guard, The American Legend 1 in gold on the barrel, gold ring around the grip cap and WINCHESTER in bold type gold on the receiver.